The old slogan “Wouldn’t you really rather have a Buick” means something again. 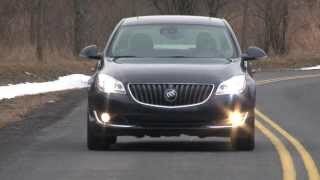 The average age of a Buick buyer is 58-years old. Lexus is 56 and Lincoln is 61-years old. Buock just past Toyota to be most reliable, mass produced brand. No paddle shifters because if you did not know, the transmission is another Aisen transmission. This car was originally done as a Saturn but upgraded when the division ended. Saab would have upgraded its 9-3 as well which used the 5 speed Aisen unit instead. The Halidex AWD system is also from the Saab 9-3 - as-is with no changes from Saab. The engine is a direct injection engine that takes the place of the 220 hp Saab engine that was not direct injected. 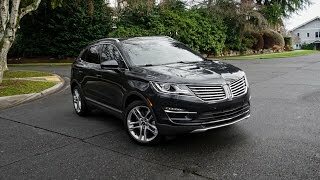 I am actually considering this as a replacement for my 2006 Saab 9-3 closing in on 160,000 miles as I would like another reliable car that has been updated - and this is essentially it from my current car. 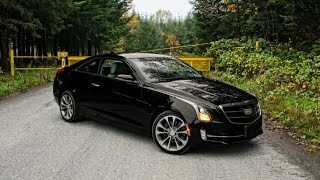 isnt the US also missing out on a V6 model too? 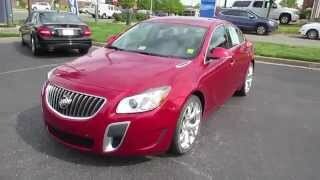 I have a 2014 Regal GS with the 6-spd manual. 0-60 doesn't tell the story of this car's performance and the ride and handling are quite special too. I encourage anyone who even might be remotely interested to drive this car. Don't be afraid to compare it head to head with Audi and BMW. 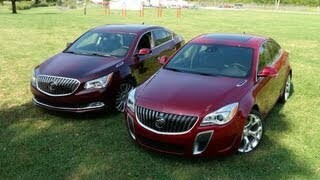 THEN compare the additional cost and maintenance on those brands and you'll see what Buick has done here. I also like the modern and incredibly easy to use Intellilink System as well as all the safety features. I am nearing 25,000 miles and have no issues at all. It is a 2.0l turbo, just tuned to kick in about 500rpm sooner than the regular model, though GS mode definitely feels much quicker. Only scheduled maintenance so far, and that's free for first two years. 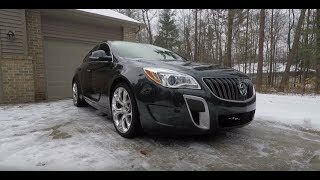 Is 'Buick' just a Vauxhall? +Nihal Sandhu yes. 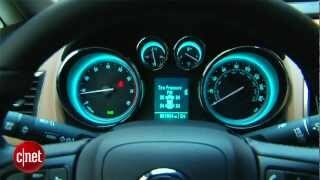 Opel is Vauxhall and both are the GM marque in Europe. In the past, I always liked Tom's objective and positive point of view, but there seems to be a healthy dose of Buick-bashing on this one. Hope he got it out of his system. 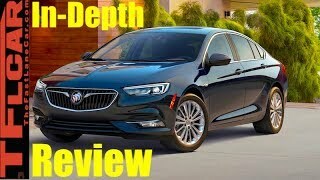 Every article or package has to some kind of hook, and unfortunately when people talk about Buick, the first hook they run to is "AARP" / Geritol / Grandparents.... It's not legitimate anymore, when you consider the product line - and the inappropriate use of that stereotype within automotive media, is so old & played out, it makes AARP sound like the Fountain of Youth. This is a great review, but the ones still most perpetuating an "aging" stigma about Buick are the car bloggers & media themselves... Not to bring up something annoying from Frozen, but let it go already: Buick itself did years ago. 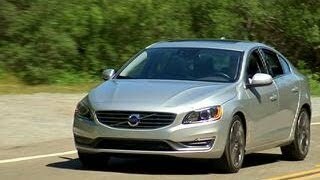 In Germany the Opel Insignia has become the hardest Competitor for the VW Passat... and it even steals some customers from the BMW 5 series!!! So Opel/Vauxhall/Buick will definitely make their way. Image is actually a terrible reason to buy or not buy car. However, I do agree that if anyone told me 5-years ago I would be buying a Buick, I would have told them they were smoking crack. AWD and GS models have a Hi-Per Strut to alleviate torque steer. GS also provides the additional side bolstering. I love the look/touch/feel of the interior, not perfect, but at least as good as the CC, S60, and TL. I am no a fan of the spare Bauhaus design... and I'd take a 5-door (also sold in Europe) over a wagon... as I love hatchbacks. Did you really mispronounce the word "gauge" as "jaje?" I like the regal quite a bit but why did they go all Camry with those tail lights, the previous ones looked much better. 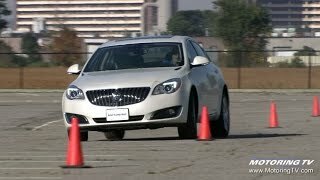 It really seems that Buick has a tendency for messing up their cars' rear ends. 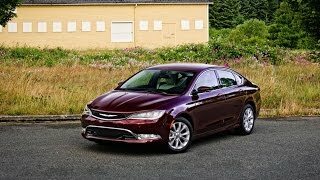 For example, Verano, why in the world does it have those long chrome 'eye brows' over its tail lights, that's such bad detailing on an otherwise very stylish car. Lacrosse's chrome tail light trim is much better looking. Just like Tom said: "details, details!" I see the shape similarity in the tail lights to the trunk lid, but I don't think the end result resembles a Camry. The revised ones on the Regal look more expressive & edgy - and better complement the cars' lines, compared to the previous, subdued lamps... So to me, it is a huge improvement. (The front end is light years better, too.) 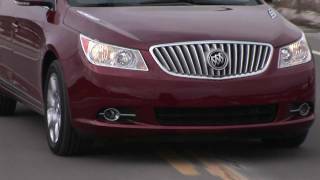 - I do see what you're saying about the Verano's "eyebrows," though. I think it's more just the angling of the trim and the lights; it looks a little bit like it's squinting at you. 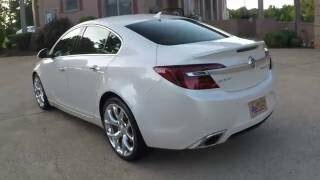 But I think the Verano is gorgeous, too. 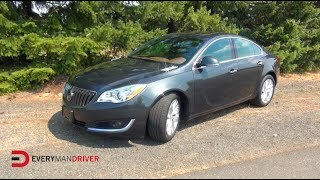 The Regal really has the best overall shape of the three sedans; Verano & LaCrosse, though both beautiful, have a somewhat "pudgy" looking silhouette. That's about to change in the next-gen for both. From what I've seen in the test mules, they're going to be sleaker, and even more impressive than they already are. 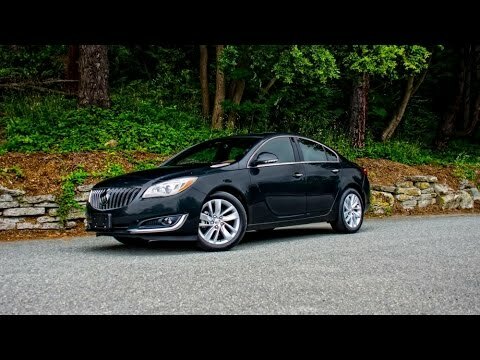 I'm sorry GM designers, but you make Buick's ugly. 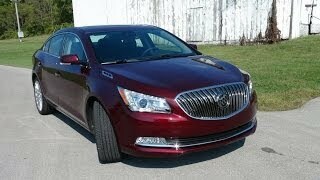 Maybe it's a stigma because obviously the Chinese love them, but I hope to never buy a Buick product. Anyways Great review Tom as always. But it at least helped you watch this video and make a comment here. It looks better inside then outside. I'd drive one as a company car but wouldn't buy one myself. 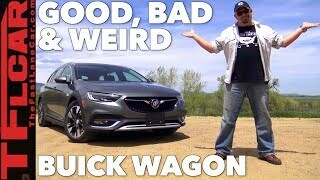 Write Buick, tell them DON'T bring the wagon to the US. But DO offer the wagon in the US as a build to order. I prefer wagons but I know if they offer it to dealers they won't sell in decent numbers in the US and it'll get cancelled. 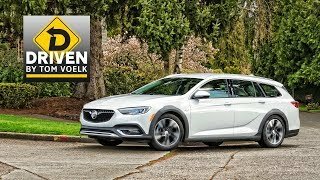 Actually the Opel Astra GTC(3 Door, Coupe and Wagon), the Regal Wagon and Hatch back, and the Cascada Convertible are all stunning models that would instantly give Buick a huge bump because the real leg work of engineering has been done! Not to mention the diesel options that we don't get and you can't feel bad for a company that cries about sales. Why do they tire one arm behind their backs(GM) I will never have a clue. Very true but some times you produce or sell a car for different reasons. When they want to reclaim the good name of the brand you sell products that really don't move large numbers. Like I said before the car is already made so it is not like they are starting from scratch just import it in small numbers. They'd spend more money getting wagons here than they would make selling however many of them they could. Wagons don't sell here unless they're jacked up and called "crossovers". It's unfortunate but it's true. That wagon version would be AMAZING. Thank you for your informative and polite reply. +B Sennbrink This is a car engineered by GM and sold under two different brands in two different continents. The Regal and the Insignia have been launched at the same time and were updated at exactly the same time. So, you sir are an uneducated moron! 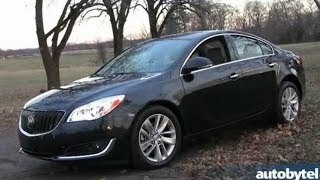 That makes no sense as the Buick and Opel were updated together and share the same but shorter platform of the Lacrosse. Also from Bentley to Rolls to Benz they all reuse platforms and power-trains because it makes no sense to start all over for a limited production vehicle. Why am I speaking logically with someone that is being irrational? +B Sennbrink There's no Opel on this side of the atlantic, it's a non-issue.